(Updated at 3 p.m.) With Amazon gearing up to move into his neck of the woods, Del. 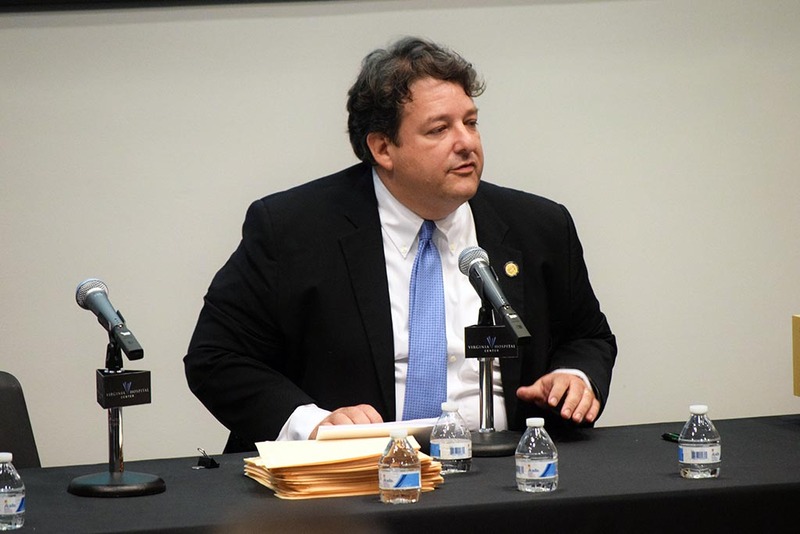 Alfonso Lopez (D-49th District) is angling to substantially beef up state spending on affordable housing development. Lopez, who represents a variety of South Arlington neighborhoods surrounding the tech company’s planned headquarters in Crystal City and Pentagon City, is eyeing a two-pronged approach to the issue in this year’s General Assembly session. Both of his legislative efforts involve the Virginia Housing Trust Fund, a pot of money Lopez helped create back in 2016 to offer low-interest loans for developers hoping to build reasonably priced housing. Though state lawmakers have only allocated a few million dollars to the fund for the last few years, Lopez hopes to simultaneously ramp up appropriations for the program and find a more stable source of funding for it going forward. Leaders in Arlington and Alexandria have both committed to send more resources to local programs targeting housing affordability in the wake of Amazon’s big announcement, but those efforts will only be designed to target the communities surrounding the tech giant’s new office space. And with most prognosticators predicting that the 25,000 Amazon employees set to descend on the area will choose to live all over the Northern Virginia region, Lopez sees a clear need for a state-level solution. Gov. Ralph Northam, a Democrat, has already proposed sending $19 million to the housing fund over the next two years as part of his latest budget proposal. That change would make $20 million available for the current fiscal year, and another $10 million available the year after that. But Lopez is envisioning an even larger amount heading to the fund, and he’s planning on proposing a one-time, $50-million influx to make a difference right away. The amount might seem small compared to the state’s mammoth budget, but Lopez expects it could make a big difference — he points out that the fund has already helped kick start two projects along Columbia Pike in just the last few years alone. Michelle Winters, the executive director of the Arlington-based Alliance for Housing Solutions, notes that the trust is “currently a small source of funding that is spread fairly thin across the state.” That means even Northam’s proposal, to say nothing of Lopez’s more ambitious ask, would be a “quantum leap” forward for the state, according to Michelle Krocker, the executive director of the Northern Virginia Affordable Housing Alliance. Accordingly, Winters expects even a modest increase would prove to be meaningful, in Arlington and elsewhere. “Even though it is small, any source of funding to help fill the gap in an affordable housing project’s budget is very valuable and can help make some more projects feasible,” Winters wrote in an email. Yet Lopez also sees a clear need to make affordable housing funding a bit more predictable going forward. Currently, Lopez laments that he has to go “hat in hand” to appropriators on General Assembly committees, urging them each year to set aside money for the trust fund. He’d much rather see lawmakers set up a dedicated funding stream to ensure regular, stable contributions to the loan program each year. Accordingly, Lopez is backing a bill to establish such a funding mechanism — in essence, the legislation would pull away an annual percentage of surplus revenue from state “recordation” taxes, or levies on home transactions. He’s proposed such legislation in the past, and acknowledge that it could face an uphill battle this time around — lawmakers with power over the state’s purse strings may be loathe to give up any budgetary discretion, after all. Even the one-time cash infusion could prove difficult for Lopez to achieve, considering that Republicans have already declared Northam’s budget proposals “dead on arrival,” as a fight over tax revenues brews in the General Assembly. “We’re all very concerned that with Republicans being so opposed to the governor’s amendments… that we’ll really have to wait and see whether the governor’s housing trust fund plans survives these deliberations,” Krocker said. It doesn’t help matters either that some key lawmakers (and even some Northam administration officials) shied away from including more affordable housing money in the state’s proposal to Amazon, arguing localities and developers are better suited to fund this kind of development. But Lopez is “hopeful” that the grave concerns raised about the housing market in the wake of Amazon’s announcement could help change minds on the issue, and he’ll certainly have allies among Arlington’s legislative delegation.